Here at Spectac International we operate an Espirit Lightning HD2000 x 4 m CNC Profile Cutting Machine with a Hypertherm HPR260XD Auto Gas Plasma Arc Cutting System. The HPR260XD Auto Gas plasma system is designed to production pierce up-to 32mm stainless steel and has a maximum cutting capacity of 50mm stainless steel. The system comes with HDi technology for superior stainless steel cutting in 3-6mm stainless steel and has True Hole Technology to provide bolt ready holes in 3 to 20 mm stainless steel. 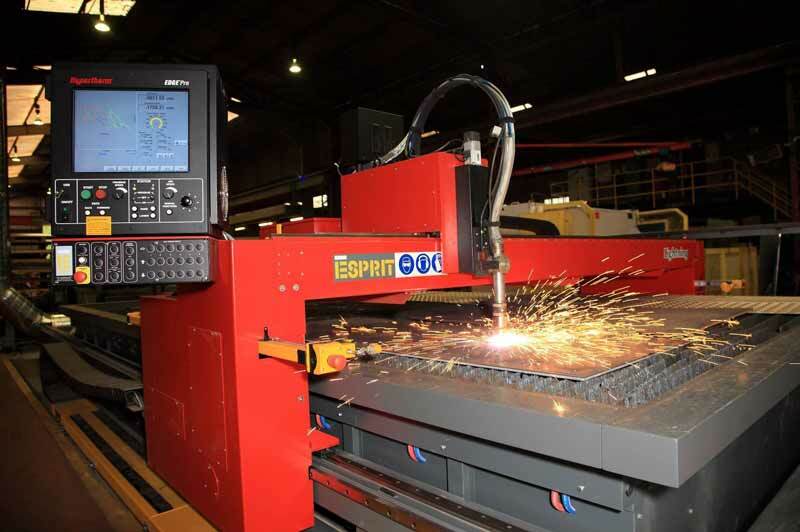 Esprit Lightning HD machines are precision compact bed machine tools for high precision plasma cutting and are available in a wide range of sizes from 3 m x 1.5 m upwards. Designed on laser cutting machine principles, the Lightning HD fully exploits the latest Hypertherm HPRXD plasma cutting processes and produces clean, square, dross-free cuts on a wide range of ferrous and non-ferrous metals. 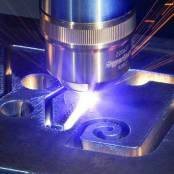 Our customers report that components cut on the Lightning HD machine with HyPerformance HPRXD plasma and True Hole technology are comparable with laser cut parts in many cases. Our machine design engineers have specified heavy duty precision fabricated and machined structures combined with twin hardened and ground linear bearings in all axes, powerful digital drives and precision transmissions to deliver high accuracy and repeatability and produce smooth motion with high speed and acceleration for the highest possible cut quality. 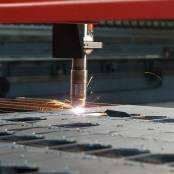 HyPerformance Plasma delivers the best precision plasma cutting available. Closely integrated with an Esprit machine, the HPRXD systems offer exceptional productivity and ease of use with the highest cut quality in the industry. 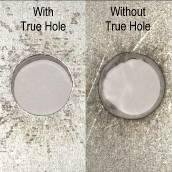 This patented technology for stainless steel produces significantly better hole quality than previously possible and narrows the gap with laser hole quality making plasma suitable for many jobs previously cut with laser. Bolt hole quality with virtually no taper is delivered automatically without operator intervention. Can increase production capability by up to 100% by reducing cut-to-cut cycle time, including the time from the last cut or pierce to the next pierce. Intelligent CAD/CAM & CNC technology ensure torch retract and initial height sensing is eliminated or minimised based on material and part program context. Have you a project that we could help you with?